William Bankes (17861855) was a school friend of Byron (who called him "the father of all mischiefs"), a scholar, and an explorer. He travelled widely, especially to sites in the Middle East, and was one of the first Europeans to see the temple at Petra and the city of Palmyra. As a young man he was adventurous and a bit wild; he once disguised himself as a labourer and climbed over the wall to see Fonthill Abbey, built by the eccentric homosexual William Beckford. He was a noted Egyptologist and copyist of hieroglyphics  We would not be aware of some inscriptions today were it not for the watercolour records he made of some of his excavations. He shipped an obelisk from the Temple of Philae to adorn the lawn at his country house, Kingston Lacy in Dorset, where his archeological finds and drawings are exhibited today. But in 1833 Bankes was arrested for engaging in indecent behaviour with a soldier in a urinal outside the Houses of Parliament. He said his actions had been misconstrued and he denied the charges. Many noblemen, including the Duke of Wellington, testified to his good character. When the principal witness set sail for America and failed to appear, Bankes was acquitted. Bankes retired from public life, and concentrated on renovating Kingston Lacy. Everything went well until 1841, when Bankes was again arrested for indecent behaviour with a guardsman, this time in Green Park, near Wellington Barracks. On this occasion Bankes forfeited a £5,000 bond of recognisance and fled the country. Bankes was officially declared an outlaw, but before that officially came into effect he signed over all his property to his relatives, mainly to his younger brother, so his estate could not be forfeited to the crown. Bankes first went to France, and then settled down in Italy, and lived mainly in Venice, where he died in 1855. During these long years of exile he continued to embellish his wonderful country house at Kingston Lacy, sending home many objects of art, paintings, and commissioning bronze sculptures and decorative painting schemes for the interiors. He made detailed designs for furnishing and arranging the rooms, and directed projects from a distance. It is believed that he surreptitiously returned to England only once, the year before he died, when he slipped into the country through Poole, and secretly visited Kingston Lacy to see the object of beauty to which he had devoted his life, and to make sure everything was perfect. Today Kingston Lacy is one of the treasure houses owned by the National Trust  and to their credit they give prominent publicity to Bankes’s exile. His modern biographer Anne Sebba, observed that "many people have said to me that it’s a poignant story, but I’ve always seen it as a triumphant story born of something quite sad. I really liked him in that he survived in adversity." The following is a transcription of a newspaper report of the trial of 1833, which ended in a Not Guilty verdict. But almost certainly Bankes was guilty as charged, despite a very clever defence, because nearly ten years later the same thing happened again, on which occasion he promptly fled the country and did not try to defend the case. The defence in the 1833 trial was quite right to say that the evidence was too weak to justify a guilty verdict. Nevertheless, the circumstantial nature of the evidence in fact constitutes the kind of evidence that gay historians would commonly employ in our researches: and this case demonstrates the validity of circumstantial evidence for the purposes of history, even though it is not strong enough for the purposes of law. The case illustrates that, contrary to the claims of modern sexual theorists, the general assumption was that people had either a heterosexual orientation or a homosexual orientation; for example, one witness says that the soldier involved consorted with "disorderly women" and "was never suspected of anything of this kind; he was quite the reverse  the other way";  this provoked laughter in the court, as everyone present obviously shared the same conception of the binary nature of sexual orientation. All the character evidence in favour of Bankes also emphasised the claim that he did not possess a homosexual nature, e.g. : from all I have observed of him, I should never have thought him capable of any such propensity as that he is charged with. And another witness says, there was no man, in his opinion, less capable than Mr. Bankes of being guilty of anything having a tendency to such an offence as that with which he was now charged. These assertions do not address the facts of the case (i.e. whether or not any sexual acts occured): they express the belief that he would not have engaged in homosexual acts because he was not by nature a homosexual. In other words, the modern claim that people in the past were only concerned with acts rather than identities is quite incorrect. This trial having been appointed to take place this day, a considerable degree of interest was manifested, and a large crowd assembled at an early hour. The wretched construction of the Court was, of course, as painfully felt as ever; and the judicious arrangements of the officers could only afford a palliative to the evil. As far as it was possible, they secured accommodation to every one. The SOLICITOR-GENERAL, Mr. JOHN WILLIAMS, and Mr. JUSTICE, appeared for the prosecution; Sir J. SCARLETT, Mr. F. POLLOCK, Mr. C. PHILLIPS, and Mr. FOLLETT, for the defendant Bankes; and Mr. F. KELLY, for the defendant Flower. Mr. JUSTICE opened the pleadings. This was an indictment against the defendants, charging them with having, on the 6th of June last, been guilty of exciting each other to commit an unnatural offence. The defendants had pleaded Not Guilty. The SOLICITOR-GENERAL stated the case to the Jury. The first defendant named in the information was a gentleman of high rank, great property, and hitherto unimpeachable character. He was a man of high literary attainments, and had been the delight of all who had the pleasure of his acquaintance: he was the Member for the county of Dorset. The other defendant was a private soldier in one of the regiments of Guards. The present prosecution was instituted by the parochial authorities of St. Margarets, Westminster; and was entered upon  not with any vindictive feeling on the part of that body towards the defendants  but to vindicate the law, and satisfy the claims of public justice. With respect to his (the Solicitor-Generals) feelings, they were exactly the opposite of hostile to either of the defendants; on the contrary, his most sincere wish was to see them acquitted of the foul crime with which they stood charged; and, more than that, to see them sent out of that court free from even the shadow of impeachment, or anything which could leave a lingering prejudice in the minds of even the most sceptical. He had, however, a duty to perform; and, painful as it was, no cause should prevent his performance of it. To that end, therefore, he should proceed to lay before the Jury a plain, unvarnished statement of facts, neither heightening them to the prejudice of the defendants case, nor extenuating them to the prejudice of justice. A watchman named Smith, employed by the Dean and Chapter of Westminster-Abbey for the last eight years, had, on the night of the 6th of June last, a little before ten oclock, seen two persons  the one a soldier and the other a gentleman, both of whom were admitted to be the defendants  in conversation near the entrance of the Abbey-yard, on the east-side. As he approached them they separated, the soldier going round St. Margarets tower by the eastward, and the gentleman going into a certain place of convenience, which was formed in an angle of the tower with the body of the church on the west-side. In a few seconds subsequently, he saw the soldier come into the Abbey-hard by another direction, and enter the place into which the other individual  Mr. Bankes  had previously entered. He watched them for a little while, and then he set another person, named Barker, a perfect stranger to him, as a watch upon them, and went round to Poets-corner for the constable on duty there, Horne. Before he (the Solicitor General) proceeded farther, he should state to the Jury that there was accommodation in the place, where the two defendants were left for only one individual. Smith returned immediately without the constable, as he could not find him, and he then sent Baker towards Tothill-street to look for another, he in the meanwhile taking up his position in the centre of the Abbey-yard, to watch the proceedings of the parties. In a minute or two Barker returned with a policeman, and Smith then communicated to him the circumstance. They then proceeded towards the place of accommodation, and there saw the defendants in a certain position. On their being taken into custody, their clothes were discovered by him to be disarranged, and a portion of Mr. Bankess garment was open. They were thence conducted to the station-house in Tothill-street, and there searched. The braces of the soldier were found undone in the front. There they were asked some questions, which they answered; and then they were locked up together during the remainder of the night. Next morning they were taken to Queen-square Police-office & examined before the sitting Magistrate. On the examination Mr. Bankes said that he had dined with Lord Liverpool; that he was on his way to the House of Commons, where business of importance was to be transacted that night; and that on his way thither he met the other defendant, whom he had mistaken for a person that he had known abroad, and had since recommended to a situation; that surprise at seeing him in the dress of a soldier, he had spoken to him. He had asked him was his name Robinson, and on being told it was not, had been further informed that there was an individual of that name in the battalion or regiment, which the soldier he had spoken to belonged. He then left him, and went to the place of convenience in St. Margarets church-yard, as he had an occasion which required it. There the soldier came in subsequently.  The soldier, in answer to the question put to him on his examination, said that he was on his way home to the barracks, at the Kings Mews, Charing cross; and that he met the gentleman, who made inquiry after a fellow soldier, who, he said, he had known in Egypt. They then parted; and he went into the place where they were both found together, thinking there was no person within. The next person that would have been called in the ordinary process, was Barker: but he had since gone to America. However, his depositions taken before the magistrate on that occasion were in Court, and he (the Solicitor-General) had understood his Learned Friend, on a former occasion, to consent to their being read. If his Learned Friend continued of the same mind, he should now read them. The LORD CHIEF JUSTICE said had had some difficulty in permitting them to be read. Sir JAMES SCARLETT for the defendant, stated that he now as before consented to these depositions being read. The newspapers had insinuated that this individual was spirited off by his client, Mr. Bankes, and by that means a deal of prejudice had been done in the public mind to the case. That prejudice he hoped to destroy by allowing these depositions to be read, though they had been taken with the advantage of the defendant having the power to cross examine the witness. He should also show, when the proper opportunity came, that the defendant had used the utmost efforts to procure the attendance of Barker. The LORD CHIEF JUSTICE asked whether the deposition of Barker had been read to either or both the defendants? The SOLICITOR GENERAL said it had. The LORD CHIEF JUSTICE observed in that case it might be evidence, and he would not prevent its being put in to that effect. The SOLICITOR-GENERAL read the deposition of Barker. It was to the effect that on the night in question he had been met by the watchman Smith, who said to him, I wish I could see a constable, and Id give them in charge? He asked What was the matter? and Smith replied, There is a gentleman and a soldier in that place (pointing to the convenience in the angle of the Church and Tower of St. Margaret). Witness looked, and saw a soldier with his back towards them, and a gentleman inside. Smith, as already detailed, desired him to stay while he went to fetch a constable, and he, on Smiths unsuccessful return, went to Tothill street, and brought one himself. They then went all three to the place where the defendants were and took them into custody. The soldiers lower garments were down in front, the gentleman had a cloak on him, which entirely covered his person. The soldier, on being apprehended, asked what the constable wanted with him, and said he was only performing a necessary operation. The gentleman, who came out the last, appeared very much confused. They were taken to the station-house, and on the way the witness deposed that they had conversed together. At the station-house they were searched, and the garments on Flower were found to have been down. The Learned Counsel then went on to argue on the credit due to the witnesses. He said that Smiths character could not be impeached, as he had had no previous knowledge of either of the parties, and, consequently, could bear them no malice or ill-will. He had been, moreover, eight years in the confidential employment of the Dean and Chapter of Westminster Abbey, which was a circumstance sufficient to guarantee his integrity and honesty. In the same manner there was not the slightest reason to doubt the credit of Edwards, who had been in the Police Force ever since its formation [i.e. since 1810], and who had always borne a very good character. He must say that, with every disposition to look favourably on the explanation given by Mr. Bankes, he was unable to do so. The want of some place of convenience could hardly be reconciled with the circumstance that the House of Commons, where such conveniences were abundant, was in the immediate neighbourhood: and, if he did not choose these, his own house was adjacent. But there was another and a stronger fact in abeyance, and it was, that he had passed a similar place on his way to the one in which he had been apprehended. The soldier, if his story were true, had certainly taken rather a singular way towards his barracks, at Charing cross. The question, therefore, came to this, whether the Jury would believe that these two defendants had been together in the manner and for the length of time that would be stated by his witnesses. If they thought they had, he feared they could come to no other conclusion than that the defendants were guilty. Their opinion, of course, must be formed upon the amount of credit they might think due to the testimony of these persons. He should lay the evidence before the Jury, and leave it in their hands, with the hope that, if possible, they might be able to discover some reason for doubting the guilty intention of the defendants. He admitted at once what he understood his Learned Friend meant to call almost innumerable witnesses to prove, namely, the previously excellent character of the defendant; but he was bound to tell the Jury, that in cases of this sort  in all cases of offences charged  the value of previous character was little when opposed to well established facts; and, notwithstanding any regret they might feel, and they could not feel it more keenly than he did, they must, if they considered the facts he should lay before them to be well established, find a verdict of guilty against both defendants. James Smith was the first witness called. He was examined by Mr. J. WILLIAMS: I am a watchman, appointed by the Dean and Chapter of Westminster, and have been so for more than eight years; the time for going on duty was nine oclock; my round was from the west corner, by the railling, to the green, and back again; I remember the evening of the 6th of June; I went on duty that night at nine oclock as usual; I had not seen any individual except Mr. and Mrs. Carter, from whom I received the key of the north gate; when I first went into the Abbey yard, I did not see anything particular; I was dressed in plain clothes, but had an oil-skin hat on; after I had been there about half an hour, I saw something that attracted my attention; I had been my round, and was returning through the yard between Henry the 7ths Chapel and St. Margarets Vestry-room; I then, for the first time, saw a gentleman and a soldier standing together against the north-gate; they were about fifty or sixty yards from me; I stood looking at them for a hsort time, and then crossed the centre of the yard, leaving them on my left; when I passed nearest them, I was probably not nearer then 30 yards; I did not stop until I got to the west end of the church-yard, near the railings, and then waited for a second or so, when I perceived they were still in the same situation, talking together; I did not wait above a minute to observe them; I saw nothing particular pass between them; they seemed discoursing earnestly together; they separated while I was standing watching them; the gentleman went across the yard towards Sr. Margarets church, and entered the watering-place that is against the wall of the church; the soldier went northwards, towards the Upper House, out of the middle gate, and after making almost the circuit of the yard he went into the place where the gentleman was; upon noticing that, I went up to the place for the purpose of watching their proceedings; I remained there about two minutes; the soldier was in uniform; a person at that moment came across the yard, and I stopped him and told him what was going forward; that individuals was a stranger to me  to my knowledge I had never seen him before; I subsequently understood that his name was William Barker; I then went for a policeman towards Poets Corner, leaving Barker on the watch; I did not find one there, but I did at the door of the House of Commons; I inquired for a policeman named Horne, to whom I was known, but he was not there; I returned without an officer to the church-yard; Barker was standing where I left him; from that spot I could plain see the soldiers back, but did not see any one with him; I directed Barker to go to Tothill-street for a policeman, and he proceeded to the gate leading to Tothill-street, and soon returned accompanied by one; I then directed the officer to go round the church; Barker had not been away more than a minute  no one came out of the palce while I remained; we then proceeded towards the place in question; I was between four and five yards behind the policeman; the policeman entered first; there is a screen stone about five feet high at the convenience; it forms, with a buttress of the church, an inclosure; he looked over the stone and said something, but I did not hear what; when I went up to the place the soldier was coming out  the policeman was bringing him out, but I did not hear what he said; the soldiers dress was disordered, but I did not observe anything particular in the dress of the gentleman; I said nothing to him, but he observed, he had done nothing, having only gone in there for a certain purpose; I said he had been long enough to have effected that several times; I conveyed him to the station-house; on our way there he earnestly entreated me to liberate him, as he had done nothing; he put up his hands and begged of me to let him go; I replied that I could not do that, but I would not hurt him; nothing else passed until we got to the station-house; the inspector on duty was not the one who is usually there; the superintendent was also there, and Inspector Grossmith was sent for; he arrived about ten oclock; the defendant Flowerss brace were undone, but I did not see that the gentlemans clothes were unfastened; he had a cloak on which covered him. Cross-examined by Sir JAMES SCARLETT: The clerk had struck half-past nine before I first noticed the defendants; there is a private watch-box close by; the gentleman was nearest the gate, about 50 or 60 yards from the gate leading to the Abbey; they certainly might have seen me watching them, but I do not think they did, nor ever did think so; I will swear positively that I never said so, nor did I observe them noticing me; I never said that they separated because they saw me; if I had said so it would have been untrue; the path from one gate to the other is open every day and night; it is a public way, lighted with gas, and very much frequented; I cannot say how many people pass in a quarter of an hour, but the place is much frequented; Members of Parliament coming on foot from Belgrave-square, and that part of the town, pass that way to the House of Commons; it was a gloomy night, but not dark; I saw several persons afterwards passing and repassing close to the spot, but there was no one just at that time; the private watchman does not come on till ten oclock; there is a gas light within six yards of the place in question, and there is another gas light over te porch; cannot say by which entrance the gentleman came up; I got to the station-house with the parties at a quarter before ten oclock; a great number of persons were collected, and many of them accompanied us to the station-house; there was also a great crowd the next morning; the police man had captured the soldier about one minute before I got up to him  indeed, I think less than a minute elapsed before I joined him; the gentleman could not be got out without first removing the soldier; I did not see the gentleman do anything to his dress; his cloak was open; he closed it going along, but I witnessed nothing particular in his dress  had there been anything I must have seen it; I remained in the station-house with the prisoners while the Inspector was sent for; when we were at the station-house the prisoners said nothing to each other; they stood at a distance from each other; there was something said about the gentlemans braces, but I did not hear it; I had cast my eyes on his dress when I first took him; I saw nothing; he had dark clothes on; I do not know the name of the police-man I saw at the House of Commons; he was of the A division; I asked him if he had seen Horne? he said no; I did not tell him to come, as he was the only policeman there at the time; he was where the Members are set down, and I thought it would not be prudent for me to take him away; Mr. Bankes said he would go quietly if I would let him go; I am almost positive that he did say he would go where I pleased; the charge was taken down; I am quite certain that Mr. Bankess trowsers were not unbuttoned; Mr. Bankes said he would go anywhere we pleased; his dress was not misplaced in any but what necessity required; the charge was taken down in a book; I do not know whether they were placed in separate rooms. Cross-examined by Mr. KELLY: While I remained in the church-yard, my face was turned towards the inclosure; there is a watch box by the north wall of the Abbey, immediately opposite the corner ofSt. Margarets Church; at the corner, and in a line with the Abbey, is a gas lamp, then in the same line is another, then again, in the same line, the inclosure; the watch-box is but twenty yards from the inclosure, and there are two gas-lights within the distance; at the gate where the soldier came it is another gas-lamp; the soldier would have to walk in a line about twenty yards by the church-yard; he could have even see my looking sideways; he and anybody could have been seen at the enclosure throughout the whole space of the church-yard; I kept my eye upon him all the time I was standing in the church-yard. Re-examined: While I was standing I saw several people pass along by the church-yard; there is a shed for workmen in the church yard; that is about 180 yards from the inclosure in question. Mr. Henry Hunt, a surveyor, produced plans of the church-yard, which he had made and measured, and which he stated were correct. From the door of the House of Commons to the shed in College-green was 100 feet; fromt he west gate of the Abbey, round the church-yard, to the place where the defendants were found, was 320 feet. That was the track the last witness stated he had gone. (Copies of the plans were handed to the Jury.)  From the shed direct to the place was about 180 feet. He knew Mr. Bankess residence, which was about 310 feet from the principal door of the House of Commons; that was taking the path along the pavement, and across the sweep crossing. By the more direct way, it was but 260 feet, and in a straight line. He also took dimensions of the place where the defendants were found, between the limits of the tower and the screen-stone. The whole height of the screen-stone was five feet one inch, the width of the stone three feet five inches. There ws but one sink in the place, the tower was a double plinth. At the lower part it is but about five inches, by which a person could enter the place. Higher upper it was one foot five inches, and at the top it was two feet one inch from the tower. That was the only entrance. John Edwards sworn: I am a policeman No. 21, division A; I have been so four years and three months, ever since the new police was established; on the 6th June, between 9 and 10 at night, I was on duty in Tothill-street; while there, Barker came to me, and said the watchman in the church-yard wanted me; I was then at the end of Fiudyer-street; I went to the church-yard with Barker, and I saw the first witness about the centre of the church-yard; Smith told me that a gentleman and a soldier were in the little place; I immediately went down to the side of the rails of the abbey to the right; I passed the porch of the church, and then crossed from the abbey to the church, and so on towards the little place; I then saw the soldiers back towards the burying-ground; I at first only saw the soldier, who stood in front; on looking over the screen stone, I saw the other person standing with his back towards the wall of the church; they were face to face; when I got within two or three yards, the gentleman was fetching his breath very quick; I asked what they were doing there, and one of them answered they had merely come there for a certain purpose; the Soldier immediately turned his face to the sink to adjust his dress; when the soldier came out, I observed his dress disordered; I took the soldier to the station-house, and Smith took the gentleman; one the road the soldier fastened up his trousers; at the station-house I spoke to the serjeant, and the inspector was sent for; the defendants were then in the same room but at different sides of the room; Grossmith, the Inspector, came, and the defendants were charged; I searched the soldier, and found his braces in front undone; the gentleman was also searched; I opened Mr. Bankess waistcoat; there was a loop that fastened it, and that I could not undo; he said he would undo it for me; he did so; his braces were not undone; the Inspector told him if he had anything he had better leave it; he took out a purse, in which he said there was a sovereign at one end, and 3s. 6d. or 5s. 6d. in the other; on searching it, it was found there was no sovereign; he then took a sovereign out of the same pocket from which he had taken his purse; I then went away, and saw nothing more of Smith until the next morning, when I was before the Magistrate, and was examined in the gentlemans presence; the Magistrate asked Mr. Bankes if he had any questions to put to me; Mr. Bankes then asked me in what state his trowsers were, and whether they were undone in front, or whether the flap was down; I said the flap was down; he then said he had got no flap, as his trowsers were buttoned up in front; that was the only question he put to me. Cross-examined by Sir J. SCARLETT: I advanced towards the place in the church-yard and under the porch, with my right hand close to the church; when I got within five or six yards I saw the two persons; I then saw the gentlemans head, but not his shoulders, as he appeared to be stooping, but I saw the soldiers red coat and white trowsers; I did not take the soldier in the place; he came out when I spoke; the soldier had walked otu about five or six yards before I laid hold of him; there was no scuffle at all in going to the office; both went to the office quite quiet; I suspected by what Smith had said there was something wrong, but there was no scuffle; they seemed confused when they came out of the place, bu he saw there was no scuffle; I never said they had scuffled; I will swear so; they never scuffled with him, nor with each other; I will swear I never said they had scuffled; I said that when I got up to the place there was a scuffling in putting up their clothes; it was a quarter before ten when he took them to the office. By Mr. KELLY: At first I only saw one of the defendants, the soldier; he was within the watering place; his side was towards me; I am quite sure that he was within the stone while I was passing by the railing of St. Margarets church; the soldiers trowsers were so made that they only opened from side to side; his braces were undone. Re-examined: When I said they were scuffling, putting up their clothes, I meant they did it in a great hurry. Frederick Grossmith. I am an inspector of police; I was sent for on the night in question; I live about half a mile off; when I came, the defendants were in the same room together, about three or four yards from each other; Barker was there; Smith said what the charge was; I took down the charge in writing; it is here  10 oclock, W. J. Bankes and James Flowers, charged by James Smith with exciting each other to commit an unnatural crime; I asked Mr. Bankes if he had anything to say; he said he had been dining at Fife House, and was on his way to the House of Commons; that he saw a soldier whom he thought he had known abroad, & he asked if his name was Robertson; the man said no, but that there was a soldier of that name in his battallion or regiment; the soldier said he had been to purchase some soles of shoes which he then had with him; that he had bought them at Chapel-street, Westminster; I asked him what brought him into the church-yard; he said that he was on his way home; I asked where his home was; he said in the Mess Barracks; I said that was not the way home from Chapel-street, Westminster; he said it was; I asked Mr. Bankes what was in his purse; he said a sovereign and 1s. 6d. or 2s. 6d. in silver; the purse was taken out, but no sovereign was found; Mr. Bankes then felt in the same pocket, and took out the sovereign; it was not in his purse, but the pocket. Cross-examined: I came down about five or six minutes before ten; I took the charge exacty at ten; I live half a mile from the station-house; I had been sent for; I walked down rapidly; I did not take down the conversation in writing. By the CHIEF JUSTICE: The charge I wrote down was that given by the witnesses. James Horne: I have been in the police force since it was formed; I was on duty at the House of Commons on the 6th June last; my beat was from the door of the House of Commons to the end of Abingdon street; I had been absent a minute or two; on my return to my stand at the corner of Palace-yard on that evening, a message was delivered to me from Smith; in consequence of that I went into the church-yard; Smith was gone; I returned to my beat. John Barker: I am the father of Wm. Barker; I am living with my eldest son, John, in Gravel-lane, Blackfriars-road; my son William was living there too in June last; I do not know that he is now in this country; I believe not; he left about the middle or towards the end of June; he never told me that he was going. John Perry, clerk to the Magistrates at Queen square: I remember the charge against these defendants; this is the deposition I took down from Barker; he was sworn; the defendants were called on to know whether they had anything to say; what they said I took down on the same paper. The depositions and the statements made at the time by the parties were read. Cross-examined by Sir JAMES SCARLETT: The deposition of Barke was reduced to writing; witness took it down; it was read over to him, who signed it; Barkers deposition was then read in Court. It was to the following effect:  Passing through the churchyard about ten oclock, he saw a man, who said to him, I wish I could see a policeman. He said there was a gentleman with a cloak about him, and a soldier in the watering-place; he walked with him to within a few yards of the place pointed out, and could plainly see both parties; the soldier was standing in a position as though making water; his suspicion having been communicated to him, he went for a policeman; Barker remained in the church-yard to watch them  no one came out of the watering-place; a constable having been found, he went on one side and Barker on the other, up to the watering-place; the constable got there first, Barker second, and Smith last; the constable said to the soldier, when he took hold of him  What do you call this? or something to that effect; the soldier denied having been about anything improper. The deposition, which was read at length, described the circumstances as detailed in the previous part of the report. Mr. Bankess statement was also read: He had had dinner with Lord Liverpool; but as there was something important on the night in question in the House of Commons, he left table about half-past nine oclock; in crossing the chamber he saw a soldier; he asked him whether he knew a person of the name of Robinson, a soldier, whom he had known as a servant at Rome; he said he knew such a man  he belonged to his own regiment; Mr. Bankes afterwards left him and went to the watering-place; he was not there ten minutes  the constable came up and took them both; he went with the policeman readily, expecting to be released immediately; he had on his cloak, as was usual with him at night; he did not know it was the same soldier that came up to him whom he had before spoken to. The statement made by Flower was also read. There was then a conversation as to the whole of the Jury adjourning to view the spot in question, but as the greater part of them  most probably all the special Jurymen, had already seen the spot, that proceeding was thought unnecessary. The number of special jurymen amounted to ten; there were only two talesmen. Sir J. SCARLETT then proceeded to address the Jury for the defendant Bankes: Gentlemen of the Jury, if, in opening the case for the prosecutin, my Learned Friend the Solicitor-General felt it incumbent upon him to express to you the great pain and anxiety he had on the present occasion, to whatever extent those feelings may have been entertained by him, they can form no parallel to the anxiety which now occupies my mind. Mr Learned Friend has told you that he should be happy if the persons accused were acquitted. It is my painful duty to say, that if it were possible from the evidence and facts stated, that they should not be honourably acquitted, I should feel the greatest grief, because I could not help ascribing that unexpected and fatal result to some imperfect discharge of my own duty. I must own, that after a pretty long experience in Courts of Justice, I never remember any other case in respect of which I entertained such deep and absorbing feelings of anxiety, because, in this case, it is not only the safety of a most honourable, amiable, and intelligent gentleman which has been entrusted to my care, though that alone would be a sufficient cause for anxiety; but I feel, moreover, that in this defence is involved the safety of every gentleman in England, for I will venture to say, so much do I differ from my Learned Friend, that if it were possible, in the case made by the prosecution, that a Jury of English gentlemen should convict these defendants, I should say there is no man whose honour or life would not be placed in jeopardy. The nature of the crime of which they are accused is such as to have something in it that excites feelings hardly to be described; it is the horror which naturally follows from the contemplation of the most abominable and unnatural propensities and crimes of which mankind was ever accused, or could be guilty of so that, whenever an insinuation is made of it, all the suspicions are excited  all the feelings are alarmed, which almost I might say, produce a perversion of human reason, and, instead of endeavouring to find out that which kindness and a sense of justice would construe those exculpatory circumstances, the whole ingenuity of man is employed for the purpose of perverting those circumstances into evidences of guilt, even though those circumstances may be in themselves perfectly capable of explanation. Almost every other crime is considered with a degree of candour and mediation. All men, with respect to them, are inclined to treat ambiguous circumstances with caution, and even with jealous suspicion, but the charge of this crime causes the exhibition of an anomaly in human nature, so that this crime, which of all others is that which men would be most unlikely to admit, is hardly ever made the subject of a charge against any one, but the majority of men are busily employed in finding grounds for telling it. I have an example of this in the proceedings of this day  I have it, too, in the person of my Learned Friend the Solicitor-General, who, after elaborate expressions of caution  after repeated declarations that he should be happy if you could come to the conclusion of acquitting these defendants, nevertheless entered into a lengthy commentary on the evidence, should call, with a view of proving to you, that if that evidence was to believed, the conclusion of guilt was inevitable. For this purpose he selected every circumstance  he reasoned upon it in the minutest manner, and he endeavoured fully to convince you that you could have no alternative presented to your choice, but that you must to a certainty convict these defendants. My Learned Friend, like the generality of mankind, when reasoning in a case of this sort, took up the most minute, the most common, the most trifling circumstances, and relied on them as proofs of guilt: he seized on the most innocent actions, and put upon them a fatal construction. Mr. Bankes was seen to speak to a soldier. The imagination of my Learned Friend could not suggest a possible cause for this action but one of guilt, and therefore he put it to you that the speaking to a soldier could be for no other purpose but that of making an assignation to go to a place to commit, or to endeavour to commit, or to incite each other to commit, an unnatural offence. Is there no cause  can there be no circumstance under heaven that can induce a man to speak to a soldier except that of inducing him to become a partner in the commission of a heinous crime? Then again the length of time during which these parties remained at the place in question  that circumstance, which we all know is often capable in many cases of a most satisfactory explanation, even that circumstance was tortured into a proof of guilt, and it was pressed upon you Gentlemen, that you could not believe these parties to have been at the place for the time mentioned without being fully convinced that they were guilty of the charge impugned to them. But I ask again whether there is no possible cause by which this can be accounted for, supposing the fact to be established  is there no cause by which it can be supposed that this length of time is not a conclusive evidence of guilt? Is there not within the range of human events one circumstance to account for such a fact, without necessarily coupling it with a guilty purpose. Might not the single fact, that while one individual was engaged in a particular manner, another approached the place, fully account for the length of time consumed there, by the first of them? Is it not within the knowledge of us all, that such a cause has often and often produced such an effect? Yet all these things my Learned Friend seems to forget. He says he shall be happy to hear you pronounce a verdict of acquittal; but, notwithstanding this declaration, he feels that he is the Counsel for the prosecution  he does his duty as a Counsel; and though he says he does not want to convict, he endeavours to his utmost to convice you that every circumstance he mentions is a decisive proof of guilt. I do not accuse him of a want of candour; I only say that he does his duty in this, as in all other cases; and that consequently, though he professes to have a desire that he should acquit, he has done his utmost to procure a conviction. He has stated the circumstances of this case, and has left to me the task of showing that they are capable of explanation. I wish that that work was his; for he could have done it better than I can hope to do it: but he has left it to me, and I must endeavour to satisfy you that the circumstances which he has given in evidence are not conclusive proofs of guilt. This bringe me back to the remark, that if these circumstances are deemed sufficient proof of guilt, theere is nothing that can save men from the consequences, should any accident place any man in a situation of the least suspicion. If these circumstances are to be deemed evidence of guilt, then if any man should be once charged with this offence, then will the busy tongue of scandal be at work to propagate the horrid slander  then will wicked gossip gratify itself by the repetition of every idle rumour  then will the indiscreet expressions of twenty years ago uttered to a friend, and by incautiously repeated or remembered by some offended stranger  then, I say, will all these things be collected together to produce the impression of guilt, and then may the man who is as innocent as the light of the charge imputed to him be banished from society, expelled from the enjoyment of all that is dear to man, and condemned to a living death by the verdict of a Jury obtained by the means I have endeavoured to describe. This case, Gentlemen, is of such importance to Mr. Bankes, that I shall be compelled to give you more trouble than I might in other cases equally unproved, by bringing witnesses before you who will speak to his past life, to his known conduct, to his habits, to the impressions which that conduct and those habits produced upon them, and who will satisfactorily explain to you how impossible it is for them, who know him best, to conceive him guilty of the crime now laid to his charge. You have heard the examinations of these witnesses for the prosecution. In what way do you expect he will be defended? three persons suddenly come up to him and charge him with having exposed himsel to an accusation of this serious kind. He will be defended by showing that the circumstances under which he is charged are perfectly reconcilable with the most perfect innocence. I shall endeavour to convince you that such is the fact. It will be for you to say whether the witnesses have not interpreted facts which are entirely innocent, or, at worst, only ambiguous, into conclusive evidences of guilt. It is plain, I think, that these men had conceived, from the mere circumstance of seeing a gentleman and a soldier together, that they could not be together but for a vicious purpose. All the men speak of the circumstances in a manner which shows that their minds are impressed with that feeling, and that they only sought for circumstances to prove it to be well founded, and to justify their suspicions. In such a temper of mind, they could hardly avoid finding what they sought. The Learned Counsel here repeated a great part of Smiths testimony, and commented on it as he went along, observing upon the distance at which the witness had stood  upon the nature of the thoroughfare  upon the lights that are placed there, and upon the great improbability of persons choosing such a place for the commission of such a crime. What, said the Learned Counsel, what is the evidence of Edwards? I ask you, gentlemen, whether it is safe to trust the honour or safety of any gentleman on such evidence? He either does not know the meaning of the words he uses, or the chooses to use them in a sense different from the popular acceptation of them. He speaks of a scuffle, and then assisted by my Learned Friend, he tries to explain that scuffling does not mean what you and I think it means, but that it bears an interpretation of a totally different sort. You have seen what sort of a place this is. Having seen it, I put to you the question, whether it is possible that any man who desired to commit this crime would choose such a place for it? There are four gas lights near the spot. In its immediate neighbourhood  nay, almost over the very spot, is a gas lamp, throwing its light directly down upon the place. It stands in the midst of a public thoroughfare, and one which is pretty well frequented, and within a few yards stands a watch-box, which is the station of one watchman, while the ground is regularly perambulated by another. The cause has been put upon the issue of two men being in this place together. I defy any two men of moderate size to get into the place together; and, if they cannot, if one must be outside, exposed in the sort of thoroughfare you have heard escribed to the gaze of every passenger, how infinitely more improbable is the charge against the defendants? I may confidently say that I will put the case on this issue, and that on this issue you must acquit them. The Learned Counsel here went into a description of the place, a calculation of the space occupied by one and then by two persons, and he applied this calculation to prove the position he had just stated. I will now, continued he, say a word on the subject of Barkers departure from this country. I do assure you when Mr. Bankes heard of that departure, he was in a state of agony beyond what I can describe. He caused every effort to be made to pursue and overtake the fugitive; applications were made to the proper authorities; and no expence, no trouble was spared by Mr. Bankes to bring back Barker and secure his giving evidence at the trial. I am therefore much surprised, knowing as I do that the prosecutors are aware of this circumstance  I am much surprised at the witness that has been called this day. At all times are the public suspicions readily directed against a man moving in public life, but especially if he be a man of fortune. The witness was absent, he had gone off without our kowledge, in spite of our efforts to bring him back; but to show we had not wished his absence, we had consented that his deposition should be read as part of the evidence for the prosecution. Judge, then, my astonishment, Gentlemen, when I found his father put into the witness-box to-day. And for what purpose, I ask? For the purpose of creating an uncandid impression  the impression that, as his father did not know of his going away, we must have spirited him away to secure an advantage by his absence  that we must have carried him off unknown to his family. Gentlemen, I complain of this, for it is not just  it is not fair, and I will show you in the clearest manner, that the impression thus sought to be produced is not warranted by the fact. I will prove that his passage to America was taken and paid for before the night on which this charge was made. The Learned Counsel then went on to examine and comment upon the evidence relating to the time alleged to have passed while the defendants were in the inclosure  to the observation respecting the proximity of the House of Commons, and of his own house; and he observed, that he should prove that Mr. Bankes had suffered, from his youth, under a particular infirmity, which, while it did not affect his general health, often subjected him to severe pain, and compelled him to go, at an instants warning, into a place where he could relieve himself, but where, if any one approached him, he was detained much longer than usual, from the painful excitement which such an intrusion produced. The night on which this charge was made was one of an important kind  The subject of debate in the House of Commons was the state of Portugal, and the conduct of the Ministers with respect ot it; for the House of Lords having passed certain Resolutions on that subject, it was thought expedient to make the House of Commons pass others, of an exactly opposite character. 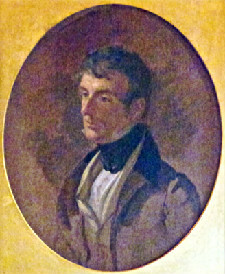 On that day Mr. Bankes had dined at the house of the Earl of Liverpool, and had sat next to Mr. Montgomery at dinner, and had more than once inquired what was the time, as he wished to be at the House of Commons before 10, within a short period after which the division was expected to take palce. He left Fife House at about half past 9, and having walked down to Parliament-street, he crossed over, for the purpose of avoiding the pressure of the crowd on the more frequented side of the way. A call of nature had compelled him to seek, before he got to the crossing at the door of the House of Commons, for a convenience of a certain kind. It was much to be regreted that London did not present that sort of accommodation which existed in other capitals of Europe, and a man, under circumstances of necessity, was obliged to go into a corner of a public thoroughfare. As such a place was equally open to all, another person, pressed by the same necessity, might go to the same place immediately afterwards, and, if he was not a man of delicacy of feeling, might not be willing to put himself to any inconvenience by waiting till the first occupant had gone away. If a third person saw these two persons thus meeting in a place fit only for the accommodation of one, he might think the circumstance was one of suspicion, and a charge of this kind might be the consequence. In this case there was not one particle of evidence that the parties had touched each other. It was not safe, therefore, to proceed on such weak proofs of guilt. If it was done, no man would be safe  the consequences were too fatal to allow of men being put on their trial under such circumstances. Yet these defendants are put upon trial on the mere fact that they had been seen at the same place at the same moment. He should now mention one topic of peculiar importance. He regretted to say, that when these defendants were taken before the Magistrate, that Gentleman had, in the exercise of his discretion, thought fit to exclude the Reporters of the Daily Papers from the hearing of the case. He regretted it; but it was not the fault of the defendant, Mr. Bankes. Yet on him was visited the punishment. Their exclusion was an offence to them, and the consequence was that there appeared in the papers of the following day a misrepresentation of the circumstances, perhaps mis-stated to the reporters, who, under such circumstance, hastily received any accounts that were given them. But among other things misrepresented, there was, said the Learned Cousnel, one of a most painful kind. It was said that the defendants father was sitting on the Bench with the Magistrate, and that he averted his face from his unhappy son. A more scandalous falsehood never was uttered. I speak stsrongly, gentlemen, for I feel strongly  I feel strongly as a father  I feel as a father the torture that would be inflicted on me were it said that under any circumstances of a charge made against a son of mine, I could avert my face from him in his trouble, and thus in my person presuppose his guilt and anticipate his condemnation. The Learned Counsel pronounced this sentence with a voice trembling with emotion, and he wept. He then proceeded to state the nature of the proof he should offer in defence  spoke of his own introduction to Mr. Bankes at the contest for Cambridge, where they were rival candidates  said that he should show that Mr. Bankes had not only borne the highest character in this country, but that he had passed through his travels in the East with the same unblemished reputation, and that of all men, he was the least likely to be guilty of such an offence as this. It was impossible, he was sure, to convict such a man of an offence that would leave him nothing worth enjoying in this life, but would hopelessly drive him for ever from that society of which he had always been the ornament and the delight. Mr. KELLY, for the defendant Flower, went through a long examination of the evidence for the prosecution, and observed, that though, according to the testimony of the witnesses, the defendants had been watched for the whole of the time from a spot where it was said they could be well seen, there was not the slightest attempt to prove that they had committed any one act of indecency. He called on the Jury, therefore, to acquit defendants, who were not seen to have done anything, who would have been seen if they had done it, and of whom the witnesses would not have hesitated to tell all, had they had anything to tell beyond the merest case of unsuported suspicions. Mr. Montgomery: I dined at the Earl of Liverpools on the 6th of June last; I sat next to Mr. Bankes, in the course of dinner he asked twice what the hour was; at first it was nine or a little after; on the second occasion it was 20 minutes or half an hour after nine, he said he wanted to get down to the House of Commons before ten; he left the room instantly; there were several ladies present; he left before they had quitted the table; I regulate my watch by the Horse Guards; I have known Mr. Bankes for many years, he has always borne the best of character. Mr. Rogers: I dined at the Earl of Liverpools on the 6th June last; I saw Mr. Bankes there; I remarked his leaving the table; it struck me at the time to be nearer ten than nine oclock; I have been acquainted with Mr. Bankes for 20 years; I have always regarded him as a gentleman and a man of honour, and a man of the best principles. Mr. John H. Taylor, a surveyor, stated the distance between the entrance of the enclosure and the church-wall; and he added, I have walked a moderate pace from Lord Liverpools house, crossing at the top of Parliament-streeet, and going on that side to the Church-yard to the Abbey railing there; that occupied me eleven minutes and a half. Cross-examined: I walked at a moderate pace. Re-examined: When St. Margarets Church was repaired under my directions, I put up the screen. Mr. Bankes, senior: I went to the office when my son was taken before the magistrate; when the examination was over I went away; I went to my daughters house in St. Jamess-square, my son accompanied me; we went thither in order to avoid the mob; my sons clothes were brought there, and I desired him to keep his shirt in the state it then was; I saw it at that time; it was kept according to my desire; it is here to-day; I believe that my son suffers from a peculiar infirmity; when he was a child, his mother mentioned the circumstance of his retention to me; he was attended by medical persons for the complaint when he grew up; after leaving College, he travelled for eight years abroad; it is impossible to speak of any person more highly than I should do of my son, though I know it may be improper for me to say so; I consider him as one of my dearest friends, and have always lived on those terms with him. 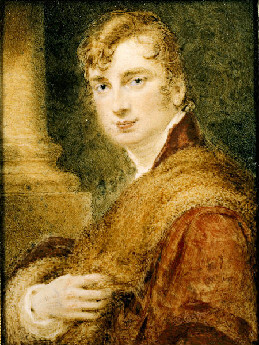 George Reed: I am in the service of Mr. W. Bankes; I have been so since June, 1828; I have never observed anything in him but what was gentlemanly and proper; he is very distant to his servants; I took some clothes to Lord Farnboroughs, in St. Jamess-square, for him [produced the clothes]; these are the clothes he wore on the night he was charged; the trowsers have no flap; they open down the front; all the things are in the state they were when he took them off; there are no marks on them. Mr. George Bankes: I am the brother of Mr. W. Bankes, there is a difference of about 12 months in our age; I went to the same University, but not the same College, with him; I was at Trinity Hall, and he was at Trinity College; I remember that from the age of eleven years he suffered from a difficulty of a particular kind; he has gone into a room and has been absent four or five times as long as another person would require to be; he has been absent on such occasions several minutes at a time; during his travels enjoying generally good health, the only material inconvenience he suffered was from that complaint. I never did observe anything in his language, manner, or habits, that induced me to think him capable of such a crime as that which he is now charged with. Up to the time of this matter occurring, I never had the slightest suspicion of such a thing; on the contrary, his habits have always been peculiarly correct; when in Spain he lost his watch; the Duke of Wellington gave him a watch, and he has been so fearful of losing a watch he values so highly, that he never carries it. I have gone by the side of the Abbey for the same purpose for which he went there, and never knew of the convenience now referred to till after this affair happened. Mr. Hughes: I am a Surgeon, I reside at Moulds, in Flintshire [Wales]; I know the defendant, Mr. W. Bankes; he has a complaint of a certain kind  that is a complaint he has long suffered from; is does not affect his general health. Wm Mason: Had been in the service of Mr. Bankes, and knew of Mr. B. having recommended Robertson to a situation. The Duke of Wellington: I am acquainted with Mr. W. Bankes; I have known him above twenty years; he came out to Spain, and spent the greater part of his time at head-quarters; I became very intimate with him; he was at head-quarters generally; he went about travelling through the country, but the greatest part of the time he was at head-quarters; I saw him afterwards at Madrid, he was at my brothers, Sir Henry Wellesleys; and then went with him to meet the late King of Spain, Ferdinand VII; after the war in Spain he went into Asia and Africa, and since then I have been very intimate with him; he has been constantly at my house; and I have met him wherever I have visited, and I do not know any Gentleman with whom I have been more intimate; I should never had believed him guilty of the offence with which he is now charged; his pursuits and habits are honourable and manly  remarkably so; I once gave him a watch  it was in Spain, he had been robbed of his watch at Madrid; he was attacked by two men, and his conduct on that occasion was so firm and manly that it pleased me, and I gave him a watch I had worn for some time. Lord F. Somerset: I was at Westminster school with Mr. W. Bankes; I afterwards saw him in the Peninsula; he came twice to the head quarters; his second arrival was on the eve of the action at Bafra [? ]; at Madrid I saw him again; I have never seen anything but that which was manly, gentlemanly, and honourable in his conduct. Mr. Smedley: I know Mr. Bankes; I have known him for thirty years; I was at school with him; I have known him as far as was compatible with the difference of our ranks in life; I have never observed anything but what was gentlemanly and honourable in his conduct; I have lived 25 years near the church, and never was aware of this inclosure till this affair. Dr. Butler: I was master of Harrow; I am intimately acquainted with Mr. Bankes; I knew him intimately at College; from my knowledge of him, I should say that he was as far as any human being from the probability of committing such an offence as this; I never heard from him an expression of obscenity or profaneness; his pursuits were in the highest degree intellectual, and his conduct honourable and manly. Mr. Chambers: I have known Mr. W. Bankes for thirty-three years; from all I have observed of him, I should never have thought him capable of any such propensity as that he is charged with. Lord Burgherah, who had known Mr. Bankes all his life, gave him the same character. Mr. Gally Knight: Had been very intimate with Mr. Bankes, and from all that he had seen of Mr. Bankes, and all he had heard from him, there was no man, in his opinion, less capable than Mr. Bankes of being guilty of anything having a tendency to such an offence as that with which he was now charged. The Earl of Ripon: Had known him for many years, and could not speak too highly of his character; he had all the qualities that adorned the character of a gentleman. Lord Caledon gave similar testimony. The Rev. Henry Jones gave similar testimony. Sir Edward Kerrison: Became acquainted with Mr. Bankes in Spain, and had known him ever since; he had never heard anything that in any way derogated from the character of Mr. Bankes as a gentleman. Mr. Seton, a barrister, had known Mr. Bankes at school and College, and since then up to the present time; from accidental circumstances they were not as intimate now as in early life but they still kept up their acquaintance, and whenever they did meet they met as old friends. Mr. Harcourt, M.P. for the county of Oxford: I was at school with Mr. Bankes; he was most popular among the boys from his sociable disposition as well as his talents; I believe him utterly incapable of such an offence as this. Dr. Grattan: Had known Mr. Bankes from his youth; had known him at Cambridge; his habits were those of a scholar and a gentleman, and of a man well brought up; he was quite incapable of such an offence as this. The Earl of Liverpool: I have known Mr. Bankes 28 years; I became acquainted with him at Cambridtge; he is very unreserved in convesation; I never heard him use obscene or degrading expressions; and I think it impossible that he should be guilty of anything immoral. Captain Yorke had known Mr. Bankes intimately, his conduct and character were far too manly and honourable for such a charge as this to be possible. Mr. Bond, a barrister: I reside in the neighbourhood of Mr. Bankess family, in Dorsetshire; I have known him since his return from abroad; his habits and pursuits are honourable and manly; from knowing them, I do not believe him capable of this charge. Mr. R. Gordon had known Mr. Bankes above 30 years; he was the very last man that could have been suspected of this offence; his conversation was lively, but perfectly free from ribaldry or impropriety. Mr. Harris never knew a man who had borne a higher character. Witness believe him utterly incapable of this offence. Mr. Dundas, Mr. Henry Alexander, and Lord Gage, all spoke of Mr. Bankes in the same terms. The last had remarked him above other men for the singular purity of his mind. Sr. J. Beckett gave similar testimony. Mr. Peach gave evidence to the same effect. He had gone to the office when Mr. Bankes was examined. The statements respecting the conduct of the elder Mr. Bankes on that occasion were not true. Mr. Best, son of Lord Wynford, gave Mr. Bankes a very high character for honour and morality. Mr. Arbuthnot, Lord Cawley, Lord Brecknock, Sir Colquhoun Grant, all spoke of him in simlar terms of praise. Sr. W. Smythe: I am Professor of History at Cambridge; I knew Mr. Bankes here intimately; nothing could be more admirable than his general character; I took part against him in politics, but always respected his talents, his conduct, and his character. Mr. Beechey and Mr. Wm. Alexander also gave him the very highest character. Lord Steward de Rothsay: Had known Mr. W. Bankes in Portugal; at that time the reports of the police were transmitted to witness, and there never was in them the slightest imputation of any kind cast on the character of Mr. Bankes. Mr. Bayley: Had travelled in the East, and happened to visit every town just after Mr. Bankes had left it; he had never heard the slightest suspicion of this sort cast on his character; and if there had been, witness must have heard it; for he had heard Mr. Bankess character discussed, and by those who were not favourably disposed towards him, for he was not popular there. Thomas Gould: I knew William Barker; my son married his sister; he had some word with his brother, and he came to me to ask if I would go to the London Docks, and get him a passage; he brought his clothes at intervals to my house; his going to America was unknown to his father and brother; he had long before this affair made up his mind to go to America; I had a fortnight before taken his passage, and paid the money; Captain Ladd was the commander; I paid 4l. 4s. 6p., including Hospital money; he went in the steerage; the ship was the Amethyst. William Ladd, the clark of the vessel, proved that the passage was taken about the end of May, or the 1st of June, and paid for on the nexrt day; it was certainly paid for before the 6th of June; the ship sailed the 22nd of June. Wm. Smith was the carpenter of the ship; it carried many passengers; there was a passenger of the name of Barker in the steerage; he paid 4l. 4s. 6p., including hospital money; witness could not tell the date when the money was paid, but it was before the first of June, for he found that date entered after payment of Barkers passage-money. Mr. FAULKNER, the attorney for Mr. Bankes, proved that the instant the repoirt of Barker quitting the country was known, every possible effort was made to stop him, and no expence of trouble was spared. A clerk in Mr. Faulkners office proved that he went to the Downs, found the vessel had sailed, and was in the Channel from Tuesday to Friday morning, stopping every vessel to find Barker, but in vain.  This is the case for Mr. Bankes. George Collins: I am a private in the 2d Regiment of Foot Guards; I went with Flowers on the 6th of June, about twenty minutes past seven, to Chapel-street, Westminster, to buy leather to repair his boots; we then went to a public house in York-street, and drank a pint of porter; I am a shoemaker by trade, and picked the leather out for him; we went then into a chandlers shop to buy medicine for the disease which he had on him at that time; his character was good in the barrack-room; he has been absent several times with disorderly women, as the generality of soldiers are; I left him in Charles-street; I marked straight home to the Mess, and it was five minutes to ten when I got there; this is Charles-street, Westminster; Flowers was never suspected of anything of this kind; he was quite the reverse  the other way [a laugh]. An Assistant to the Surgeon who attends the prisoners in Tothill-street prison proved that, on the 7th of June, he attended Flowers at the prison for the gonorrhoea; Flowers said he had had it for a fortnight or three weeks. Chisholm, another Serjeant, gave Flowers the same character. A private soldier in the same regiment gave him a good character. B. Giles, a shopkeeper, who had been pay-serjeant of the company, gave Flowers a good character. The Jury at first seemed inclined to prevent his Lordship from summing up, but, after a moments hesitation, he found they were not agreed, and he proceeded. The CHIEF JUSTICE summed up the whole of the evidence, but declined giving any opinion on it, as, he said, the case depended entirely on a question of fact, which it was their peculiar province to decide. With respect to what had been said about the publications in the papers about Barkers departure, he observed, that they appeared to have been advantageous rather than otherwise, since they gave a notice of the suspicions that had been created, and enabled the parties to search into the case as deeply as it had been searched into this day. The Jury, after a quarter of an hours consultation, returned a verdict of NOT GUILTY with respect to both the defendants; and added, on a written paper, that they felt themselves called upon to declare, that, in their opinion, the defendants left the Court without the slightest stain upon their characters. The verdict was received with considerable applause, which was, however, instantly checked. The case lasted from half-past nine in the morning, till quarter past nine at night. SOURCE: Morning Chronicle, Tuesday, 3 December 1833, Issue 20053. Rictor Norton (Ed. ), "William Bankes", Homosexuality in Nineteenth-Century England: A Sourcebook, 1 March 2015 <http://rictornorton.co.uk/eighteen/bankes1.htm>.